What notifications does an employee see when a visitor arrives? Depending on a contact's messaging preferences they will receive an email, sms/text message, Slackbot alert, or all three when a visitor arrives! 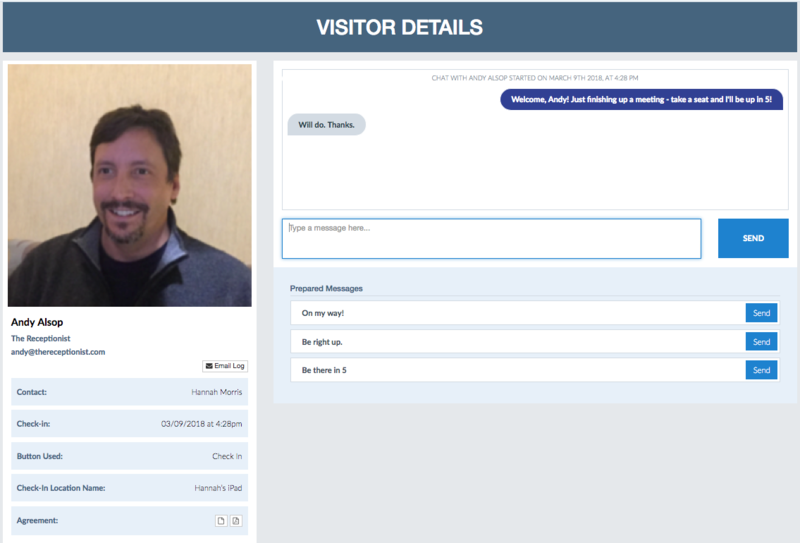 The primary email that is received includes a picture (if you have enabled this feature) of your visitor, their name and any additional information you asked for during check-in, along with your set reply options and a live chat screen.